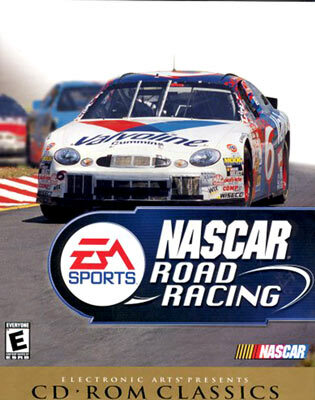 Ever wish you could compete against Jeff Gordon, Dale Earnhardt, Terry Labonte and other top NASCAR drivers in a race? Now you can in EA Sports’ NASCAR Road Racing. In fact, you can even choose to be your favorite driver and see if you can perform as well as he usually does. There are 26 to choose from. Like other great racing games, you can head into the garage before the race and tinker with your car. Pick the type of tires you want, change your gear ratios, adjust the air dam, and more. When you think you’re ready to go, head out for three qualifying laps which will determine your starting place for the main event. Don’t skip it or you’ll wind up starting out at the back of the pack. Once the race is under way on one of 12 custom-designed courses, you can cycle through the views outside your car and decide when to come in for a pit stop. You can race anywhere from three to 24 laps against 10 to 26 cars. When the race is over you can try again or get ready for the next track.